I don't know about all of you out there but I know I am so looking forward to Friday this week. I have had a much better week with my workouts and my food has also been on track this week. I have seen the number on the scale go down again which is a nice change from the train wreck that was the upping protein debacle for the last 2 week. I know I skipped out on my post yesterday but my whole day didn't go exactly as planned and I got home entirely too late to post. The day started off normally with my Pump class and a WOD. This was my first actual WOD (workout of the day) and I tried to pick one that wasn't too challenging but not easy either. It was 5 rounds: 250m row then 15 push ups. It was harder than I expected but I was able to do it in just over 12 minutes. Not that I finally got my feet wet with the WOD I'm going to try to do them more often. I like to do new things to keep from getting bored. My other new thing this week has been the stability ball as a chair at my office and it took me a week to realize it but I think that is why my abs have been sore all week. Its working! Its still kinda odd to sit on but with a ab workout Ill take it. After my workout on Wednesday it was time to eat some Subway. I had planned for it and I couldn't wait. There is actually a Subway in my gym so its a quick stop for a wonderful breakfast. I can get a whole sandwich for 300 calories and I don't have to make a thing. I had another workout planned for after work but something came up. I decided to go car shopping instead. I have been flirting with the idea of a new car. My truck gets about 9 miles to the gallon and even though I love it I just think it is time....well that and the fact that I drive about 100 miles a day. So after work I ditched the gym and went for a joyride in this baby. New Car means NEW stickers right?!?! So this morning I met up with my friend for a run, which was actually a walk with a 4 minute jog in the middle. I know I was still sorta sore from the ride on Tuesday so I welcomed the walk. When we got done I was sweating like crazy so I figured my burn was on track. I also did some pull ups and a little more cardio once I got back to the gym and then headed off to work. I tried to get there early cause I wanted to get out on time so I could go get the car again and drive it again. I am actually taking for the day tomorrow to see how it fits into my lifestyle and hopefully if all goes well I might be getting a new car. I thought about skipping my evening workout again tonight but I didn't and I'm happy about that decision. Its ok to skip every now and then but if it becomes regular then it becomes habit and soon its just one workout a day. I have to much weight left to lose to be taking days off. I went to the gym and got my swim on. 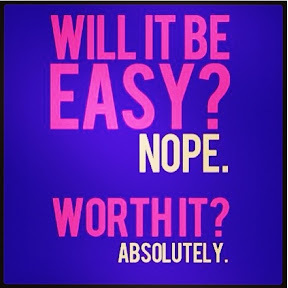 I am really focusing on my triathlon training again because I have officially signed up for another tri! Today actually! 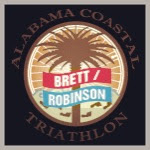 I signed up for a Triathlon in Gulf Shores, AL with an open water ocean swim. Surely to goodness the ocean cant flood! It exciting every time. I think I did pretty good over the last few months of training and losing weight at the same time but in my mind I have to compartmentalize the two. I "lose weight"train on Monday/Wednesday/Friday and I "triathlon" train on Tuesday/Thursday/Saturday and REST from all of it on Sunday. I'm ready to crank up my training again....it make me tired just thinking of it. After my swim tonight I had to go to the grocery store because I am officially out of food. 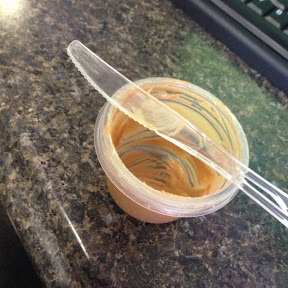 I have resorted to eating Lean Cuisines and peanut butter out of a jar because I have no fresh fruits left in my house. I found an apple and Miracle Whip but those don't go well together. I apparently ran out of spoons too cause I ate it off the knife. 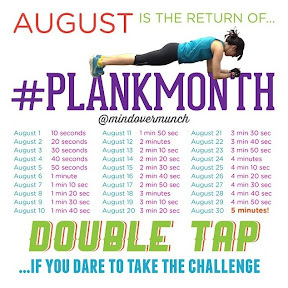 Other things from the last 2 days....my cousin found this and I have accepted the #plankmonth challenge. This should be fun because planking for 5 minutes is going to be a tough challenge. And now at work my chair has become the new topic of lots of conversations. Today one guy took a picture of it and my bossman kicks it every time he walks by. 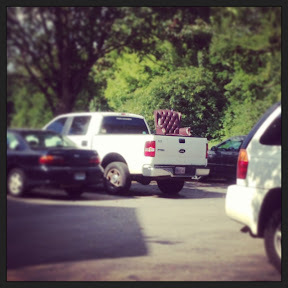 Once today he grabbed it and ran around the parking lot with it....so I took his chair and had a little fun of my own. I had another late night cause my dad called me right as I got out of the pool and invited me over for a Subway and a sit down before I headed home. I love Subway honestly but I have had it more this week than I have this entire year, and I'm thinking of having it for breakfast again tomorrow....I'm just saying. Tomorrow is a weight loss day so I must sleep so I can do it all again tomorrow. My body is a little weary this week and definitely looking forward to Sunday. C Flick, hows the planking going?